Search Engine Optimization (SEO) is a key part of marketing. Your ranking in the search results of popular search engines such as Google can have a profound effect on your business in terms of visibility and attracting customers. As SEO is a very technical field, advancements and improvements in the underlying technology are ongoing and often very rapid. Because of this, it is very easy to be left behind and your search engine ranking to suffer. Here are four trends in SEO to pay attention to in 2017. Will be an important part of SEO in 2017 as search engines become more advanced through machine learning. To simplify, structured data refers to properly structuring and organizing the information on your website so a search engine can ‘read’ it. Website information can be broken down into content and things for example, if you wrote car reviews the reviews themselves are the ‘content’ while associated aspects such as car pictures, summaries, and user feedback are the ‘things’. A much more technical overview of the proper use of structured data from Google can be found here. The important factor to remember is that without proper organization a search engine crawler may not be able to properly list and rank your website. As the usage of mobile devices continues to grow developers continue to optimize website design to improve the user experience. Accelerated Mobile Pages (AMP) are the latest implementation of the mobile web. AMP are websites that have had all unneeded data removed from the site to improve loading time on a mobile device. This is of great importance for SEO because Google prioritizes such sites in their search results when the end user is on a mobile device. AMP are something to pay close attention to because they cover two important areas your search engine ranking on a growing platform and user experience optimization. A key change in SEO is how pages are reviewed. As noted above structured data is key and how it is implemented affects your search results. In the broader sense the content of your web page effects where it shows up in the results at all. For example, a page filled with randomly generated text or filler will not show up high in search results and in fact may be removed entirely. The old days of using keywords to effect your rankings in search engine results are over and quality content is more important than ever. As machine learning improves its comprehension of content is only going to get more exact. In that respect, the best way to increase your search engine ranking is to write concise, effective, useful, and well-written material. 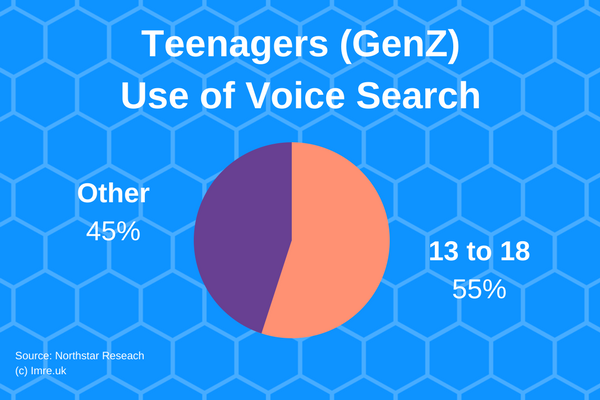 A study by Northstar Research showed that 55% of teenagers (aged 13 to 18) use voice searching on a daily basis. The same study also showed that a majority of adults (56%) that used voice searching said this made them feel more tech savvy. The important point to take in is that voice searching is only going to improve over time and become more widespread in its use. Many devices currently offer voice searching and position it as a key feature in their marketing strategies. From an SEO perspective, the challenge is going to be adjusting terminology as speech differs greatly from typing in terms of word choice and the sentence structure used. Technology has had a profound effect on business in several key areas such as communication, global markets, worldwide expansion, and so on. SEO is one of the most important parts of communicating with potential customers. You can be quite perfect in your industry but if customers can’t find you when specialy seeking out the services you offer your business will suffer. By staying ahead of SEO trends you assure customers can find you when they need you.